This is a study of the Book of James with Wendell Calder and is part 10 of 10 in this series. For more information on this event from May, please view the information here. This is a study of the Book of James with Wendell Calder and is part 9 of 10 in this series. For more information on this event from May, please view the information here. This is a study of the Book of James with Wendell Calder and is part 8 of 10 in this series. For more information on this event from May, please view the information here. This is a study of the Book of James with Wendell Calder and is part 7 of 10 in this series. For more information on this event from May, please view the information here. This is a study of the Book of James with Wendell Calder and is part 6 of 10 in this series. For more information on this event from May, please view the information here. This is a study of the Book of James with Wendell Calder and is part 5 of 10 in this series. For more information on this event from May, please view the information here. This is a study of the Book of James with Wendell Calder and is part 4 of 10 in this series. For more information on this event from May, please view the information here. This is a study of the Book of James with Wendell Calder and is part 3 of 10 in this series. For more information on this event from May, please view the information here. This is a study of the Book of James with Wendell Calder and is part 2 of 10 in this series. For more information on this event from May, please view the information here. 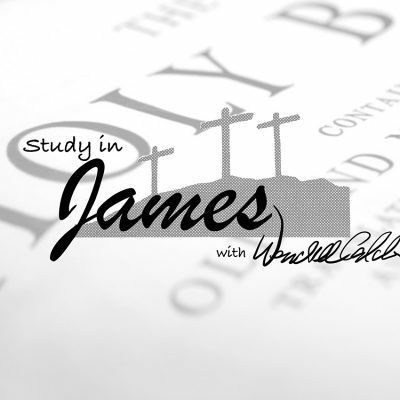 This is a study of the Book of James with Wendell Calder and is part 1 of 10 in this series. For more information on this event from May, please view the information here.